Československá mince/grind core legenda ABORTION byla jednou z těch kapel, které vystoupily vůbec na prvním ročníku Obscene Extreme Festivalu v roce 1999. A je nad slunce jasné, že tihle veteráni nebudou chybět ani na jubilejním 20. ročníku. To dá rozum!!! A snad se také dočkáme nového alba, které je již nějaký ten pátek nahrané, ale samotné vydání fyzického nosiče se celkem dost protahuje. Album se bude jmenovat „All You Need Is Hate“ a bude následovníkem jejich povedeného předposledního alba „Konvert“!!! Abortion is a Slovakian grindcore / mincecore band, whom have become quite well-known within the European grindcore underground. They began in 1989, under name Face of (or known F.O.D. ), and then in 1990 switched to the named Abortion. After few demo tapes Abortion released their debut CD “Murdered Culture” in 1998. In the following year, a split with Belgian mincecore legends Agathocles was released, titled “We Never Forget”. Original guitarist Picass eventually left the band, but was soon replaced by new guitarist, Bibo. Next years is comming more records, eps and gigs. In 2011 he was kicked out of the band's drummer Charlie and the drummer took his place Miro (Respite, Empyrion). 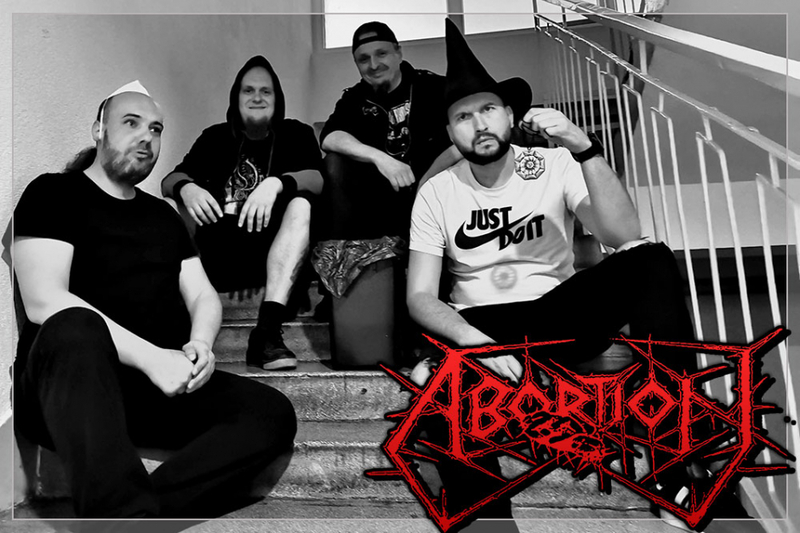 Abortion are still active, and continue to release more 7 inches and full-lengths under various labels throughout the world - and are currently on the Czech label Obscene Productions.